Premium quality, high performance yeast that is now used by more gourmet chefs and commercial bakeries worldwide than any other yeast. 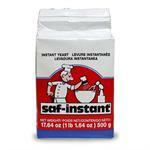 Requires no rehydration and reduces the amount of yeast used in your recipe by 25% when compared to Active Dry Yeast. 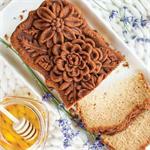 The beautiful flowers that top the Nordic Ware® Wildflower Loaf Pan make any occasion a special occasion. 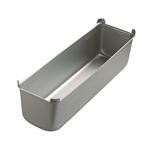 Design, innovation, quality materials and workmanship make this bakeware a joy to use. 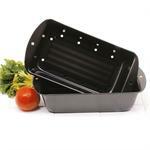 This heavy cast aluminum pan has a premium non-stick coating. 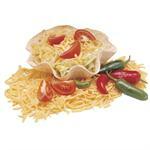 The fluted non-stick pans quickly crisp tortillas into shells that are perfect for serving taco salads, salsa or dips. Simply press a tortilla into the baker, bake for 8-10 minutes, remove from the oven and allow to cool. 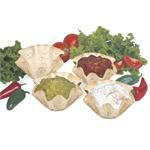 Ideal for serving salsa, guacamole, sour cream, savory condiments, dips and appetizers. These fluted non-stick pans quickly crisp tortillas into shells that are perfect for making individual taco salad bowls. 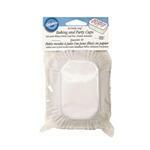 Set of 4 non-stick petite bakers. 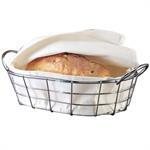 One of our best sellers, it is sure to become your favorite bread and cake pan. 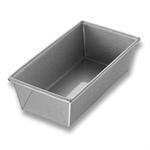 Pan size fits a standard angel food cake recipe but makes for easier slicing. Use for making long sandwich bread as well.